Our law firm can help you set up a Special Needs Trust so that government benefit eligibility is preserved while at the same time providing assets that will meet the supplemental needs of the person with a disability (those that go beyond food, shelter, and clothing and the medical and long term supports and services of Medicaid). The special needs trust can fund those additional needs. In fact, the SNT must be designed specifically to supplement, not replace public benefits. 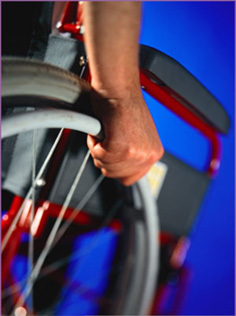 Parents should be aware that funds from the trust cannot be distributed directly to the disabled beneficiary. Instead, it must be disbursed to third parties who provide goods and services for use and enjoyment by the disabled beneficiary. • Funds for entertainment such as movies, shows or ballgames. • Purchase of goods and services that add pleasure and quality to life: computers, videos, furniture, or electronics. Special needs trusts are a critical component of your estate planning if you have disabled beneficiaries for whom you wish to provide after your passing. Generally, special needs trusts are either stand alone trusts funded with a separate asset like a life insurance policy or they can be a sub-trust in your existing living trust. Our firm can assist you in setting up a special needs trust that is valid under State and Federal law and is consistent with your wishes.